Rizk Casino Launches New GIG Video Slot - Popstar! 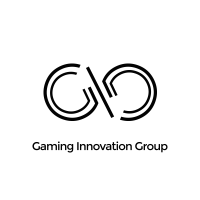 In recent news, Gaming Innovation Group (GiG) announced the release of their fourth in-house built video slot, Popstar. The release of Popstar follows the launch of Wild Reels, Book of Souls, and Fruit Slot. As always GiG’s own brand, Rizk Casino is one of the first operators to go live with the new title. So let’s have a look at the new game to understand who this slot will appeal too. To sum up, Popstar is 5 reels, 4 rows, 1,024 paylines game which offers an RTP of 96.7%. The new game is compatible with all devices, including iPhone, Tablets and Android. The minimum bet on this slot is £0.20. And the max win could see players pocket up to 400,000 coins. All and all, the game tells the story of an aspiring entertainer in a TV talent show. The game has sharp visuals, a great soundtrack and a Free Spins bonus with progression feature too. According to Mathias Larsson MD of GiG Games, “We are very excited for the release of our latest game Popstar.” Larsson went to express his excitement and further give thanks to Swedish music artist, Erik Segerstedt. In fact, Erik produced the music and special sound effects for the game. Plus, the musician is releasing a studio album featuring two songs from the new casino slot. In brief, GiG’s aim to become the number one global game provider is completely in-line with its actions this year. In fact, in recent news, we’ve learned that GiG had inked a deal with another content aggregator, EveryMatrix (EM). EM’s Casino Engine powers many online casinos. And interestingly enough, once upon a time, EM’s Casino Engine also powered some of GiG’s brand before the company release its GiG core platform, which is now a keystone in the company’s eco-system.